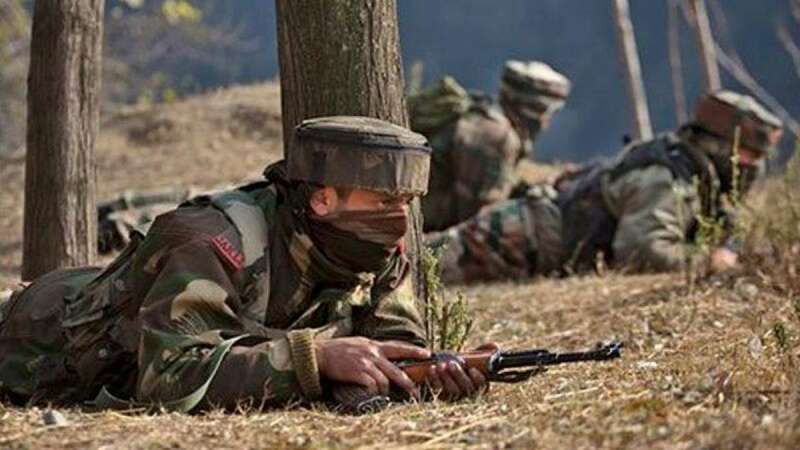 Srinagar : Three militants belonging to Hizbul Mujahideen (HM) outfit were killed on Wednesday in Jammu and Kashmir's Badgam district in a gunfight with the security forces, police said. All slain militants were locals and were identified as Javed Sheikh, Dawood and Aquib. Sheikh was the Hizbul district commander, a senior police officer said. Three weapons were recovered from their possession. On Tuesday evening, the security forces surrounded Radbug village in Magam area following specific inputs about the presence of the militants. "When the cordon around the house in which they were hiding was tightened, they fired at the security forces triggering an encounter," the officer said. On Wednesday morning, the holed up militants rushed out from their hiding firing indiscriminately to break the cordon. They were killed in the ensuing shootout, the officer added. Villagers in the area had resorted to heavy stone pelting at the security forces to disrupt the anti-terror operation. However, they were chased away, he added.